Hi! I’m Upasna: Parenting Blogger, Gratitude practitioner, and a self-proclaimed Minimalist. Being a Mother to 2 Kids, I share my real-life parenting struggles and their solutions based on my own experience. I hope my story motivates you and helps you to cherish your parenting journey. Why I convinced my Partner for a second child? How to choose the right Pre-school for your Kid? Its been 2 years now that I am on this never-ending journey of Minimalism. 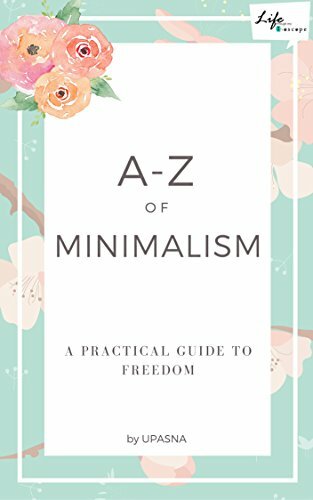 My quest for “where to begin” made me write a short book for the ones who wish to explore about Minimalism. I am proud to share that it gathered positive responses from all over the world. Being Grateful helps me grow both as a Parent and a human being. Since I started practicing Gratitude, I tend to see the good hidden behind every situation. Writing a Gratitude journal is now a part of my daily routine. I started with paper journal and now, I use my App “Gratitude Pie” to note down my grateful moments on-the-go. Now, I don’t need to sit down with pen and paper. I believe learning never stops and each day, I try to become the better version of myself. I share motivational and healthy living posts with the hope to inspire others. How to feel proud of yourself? To receive the updates in your Email, subscribe to the Blog. I promise, no Spam.